Happy Friday! 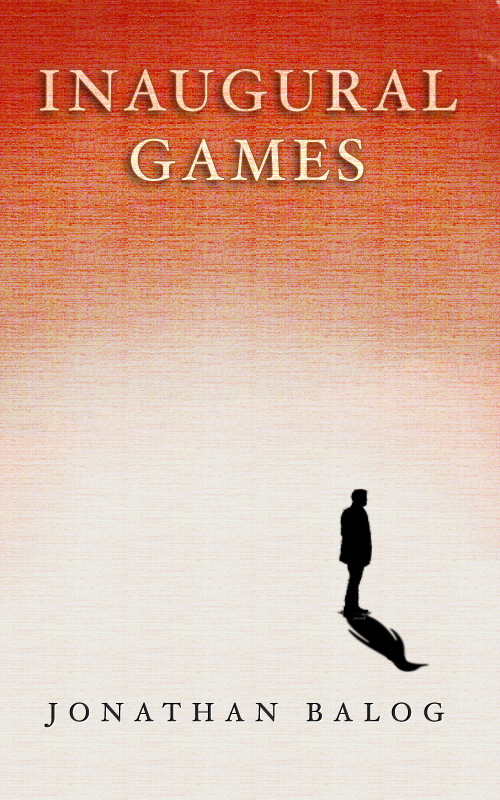 Here's an excerpt from The Deviant, which can be found in my new short story collection, Inaugural Games. One day, one way or another, someone will find out. A helicopter just flew over my house. It was the third in five hours. Maybe they were monitoring my electricity bills and noticed how much power was being generated into the basement. Or maybe someone saw them last week, when they all got out. Who knows? One thing for sure is I’ve been living on borrowed luck and I knew damn well the good times couldn’t last forever. Maybe if I’d planned this thing out instead of acting on impulse from the get-go, I could have enjoyed another month, perhaps two, but certainly no more. It doesn’t matter. They know, and soon they will come, with guns, and flashlights, and angry, angry dogs, and I will be finished. I’m sitting on forty acres of corn and soybeans in southern Maryland. I bought the farm from Paul Heidegger, who was retiring to Tampa so he could be closer to his daughter. Up till that point I’d never been on a farm in my life. At first I didn’t think there was any way I could possibly afford it, but Paul showed me how I could supplement my income from my job at the Sun by selling the crops at wholesale. After three weeks I couldn’t imagine living anywhere else. I guess if I look back, this all started with Melissa. I’d had an office crush on Melissa for the better part of two months. She was the editor of the sports section of the paper where I worked, and also the writer of a weekly film review column. She was really cute and I could talk baseball with her for hours. When I finally got up the nerve to ask her out, I’d already started replying, “Oh, that’s OK,” when I realized that she’d actually said yes. We met that Saturday afternoon at an Irish pub called Tir Na Nog in the Inner Harbor. Over lunch, Melissa suggested that we go to the Baltimore Zoo to check out the penguin exhibit that had gone up the week before. It sounded like a fine idea to me. After I paid the check, we hailed a cab. It had been a long time since I’d been to a zoo. We leisurely strolled around, past the cheetahs and the reptile house and the cage of wildly procreating monkeys, before we arrived at the indoor penguin exhibit. There were maybe two dozen of the little guys waddling around on the imitation iceberg, sliding on their bellies, diving into the water, and doing all sorts of adorable things. We watched them in silence for about ten minutes, and then Melissa said she wanted to find the giraffes. I complied, but not before taking a last glance over my shoulder and narrowing one eye at the little flightless fowl. When we made our way to the giraffe feeding station I started to feel a knot twisting in my stomach. As we passed the lions my hands began to shake. By the time we reached the Panda cage I’d broken out in a cold sweat. Finally I couldn’t take it anymore. I burst into a run, shouting to Melissa than I was going to be sick, leaving her standing alone by the prairie dog town. I charged into the building housing the penguin exhibit and shouted, “TAKE COVER! THERE’S A MAN WITH A GUN!” The mothers and grandparents snatched up their kids and ran squealing toward the exit, along with the security guard, who didn’t even bother to lock the door to the display. I pushed the door open and stepped into the other world. Hardly noticing the frigid Arctic temperature, I waded through the water to the iceberg. Without thinking, I snatched up the first one I could, stuffed it under my coat, and slowly but steadily walked out of the building. I tried to look as much like someone who didn’t have a penguin under his jacket as I could. 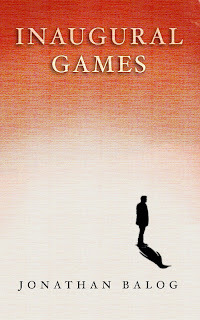 Read the rest in Inaugural Games, available at Amazon.com for $.99.